A large, generous and modern lounge setting with deep seats. Make the most of your veranda, and relax in style. The large puffy backrests are perfect for having a glass of wine, or watching TV outdoors. Available in a range of modern cushion colours. 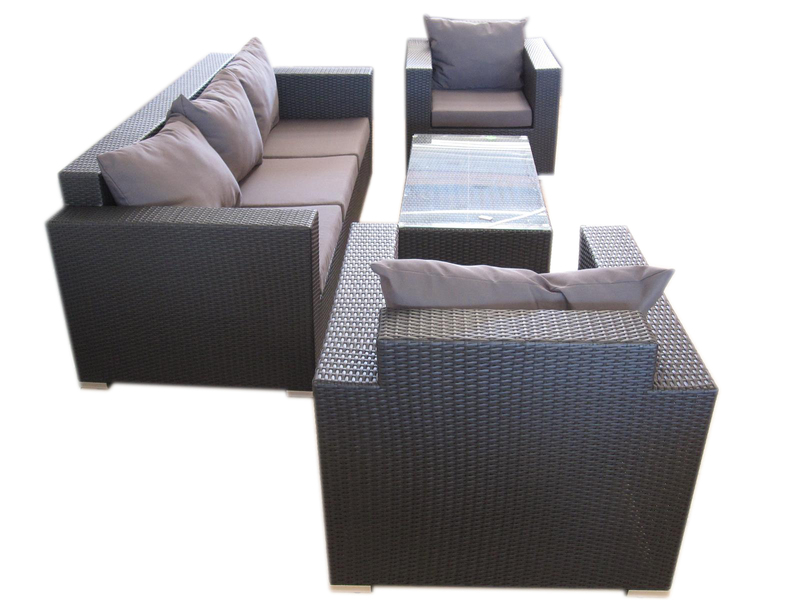 Made with all-weather wicker, which is designed for use in the rain and sun.